Row 28: The Manager Mix Up – An in depth a look at the favourites. Before I get into the nitty gritty, I would like to ask you a question (and would love to hear your responses and reasoning). If Harry was still in charge, do you believe we would have come away from Pride Park with a point and held onto the lead on Wednesday? Credit has to go Carsley for the point taken at Derby, the team felt more secure, players slotted into their right positions, and the call to bring Gardner back into the team was inspired. A move that paid dividends again against Sheff W, he is very well suited to the deep playmaker role. For a manager who has has protested profusely about the (continued) links to him and taking the Birmingham hot seat permanently – it seems strange that he would still be sitting 3rd favourite in the bookies odds and is the man, I think 90% of Blues fans are calling for to be appointed. The more I listen, the more I am impressed. Lee Carsley is as composed and as knowledgeable as they come in his press conferences. Quite clearly a football man through and through – looking to play the game the right way, from top to bottom of the club. I think importantly, for the fans, he is one of us. There is a little bit of pride in having one of our own stride the touchline towards the dugout, not just somebody that can recite our anthem, but somebody who feels it. In Lee Carsley, we have somebody who understands the soul of the club and our passionate finds – but passion doesn’t make a good manager. Just look at Lee Clark. I’d be inclined to agree with the man himself, it may be just be too soon. Things can change very quickly, especially in football, and if Mr Carsley was to find himself as the next manager I wouldn’t be disappointed. I really like how he is talking about Blues and our Clubs future, he truly see’s his role at BCFC for the next five or ten years. I think he will one day take the dugout permanently at Blues, but I don’t think it is any time soon. He remains adamant his role is only a temporary fix to Blues’ plight. In his own words, we deserve (and need) somebody with a ‘proven track record’ – with another seamless Segway – we come to our next candidate. He arguably is the only one being considered that can actually boast a successful Championship ‘track record’. A promotion winning manager that recently guided a team to the fabled Premier League, surely, he’s a shoe-in? I’m not 100% convinced. Not because of his tactics, style of play or his side’s complete lack of ability to score goals when it mattered. The thing that worries me the most about this mooted manager, was his infamous walk out in March 2016. There is no doubt that in his role for Middlesborough, he was very successful. Boasting a win percentage of 45% over a 4 year period (P:171, W:80, D:43, L:49). Its worth mentioning that if he were to take the role at Blues, this would only be his 2nd role as a senior manager. Previously having worked as an assistant, albeit at Real Madrid under one Jose Mourinho, for 3 years – but that’s it. Blues need security. Blues need solidarity. I believe that the most obvious choice, might not actually be the wisest. I think that his relative inexperience (which he showed at Boro), and his passionate and tempestuous nature, it just feels like meltdown waiting to happen. From the outside looking in, it looks like an ideal match, as Boro blogger @JStevo21 suggests, though he does echo my concerns about his temperament. Nice guy but can be tempestuous at times. Generally sets up his side to be tough to break down. Not fun to watch but an effective system that worked (for Boro) in the Championship. Would be a good fit for Birmingham in my opinion. Don’t get me wrong, It wouldn’t be a bad appointment, especially when looking at some other names listed. I just can’t help but worry about what could happen if things started to go pear-shaped and if the cracks started to expose themselves. I will concede, however, that his rudimental style of play and tactics could perhaps suit Blues, who have shown to suit a more hardworking combative play over the years, rather than the tiki-taka style from the shores of España. Going back to Lee Carsley’s words once more, he has talked about the next manager in charge needing the right amount of experience to ensure mistakes aren’t made. In what is dangerously beginning to feel like a well planned article, is a point that brings me to the next candidate, the most experienced man on the bookies list. NB: As i’m writing the article, it seems the Birmingham board agree. Sky sports are now reporting that after his interview BCFC will not be offering him the job. ‘The wolly with the brolly’, ‘Dutch Schteve’ and probably a whole host of other nicknames that probably aren’t suitable for a family friendly blog. If possible, if only for a second, try to take a step back and take a look at his career. Which being honest, is a fairly distinguished one. McClaren’s five-years at Middlesbrough saw him establish himself as their most successful manager of all time. He became the first manager to win major trophy at the club and also the first to guide them into European qualification. He is also the most successful English manager of the early 21st century; being the first Englishman to win a major honour since 1996 and then the first to reach a European final, with an English club, since 1984. Which isn’t even his most successful period in football, it is his involvement at Manchester United, as assistant manager to Fergie, that really raises the eyebrows. His first year at United just so happened to be winning the infamous treble, only to go on to win the League titles in 2000 and 2001, which meant, Manchester United won every single (domestic) title contested while McClaren was at the club. It wasn’t just good timing too, it is well known that Fergie gives plenty of credit to McClaren for his tactical awareness and influence on the squad during this period. See, I told you. Impressive stuff. All that being said, I still don’t want to see Steve McClaren anywhere near my club – but I’d love him as a first team coach or the assistant. For whatever reason his time as a manager as normally ended in major disappointment. We need a winner and a galvaniser. I’m afraid Mr McClaren just isn’t the man to take us forward. Talking of managers capable of galvanisation (another smooth transition), Steve Cotterill finds himself on the shortlist for the Birmingham City job a second time. Cotterill was the man who got a lot of credit for keeping Blues up last term. His coaching methods were instantly brought into by the players, and he was able to turn things around in on the training pitch, whilst Redknapp was left to handle the dressing room. I don’t need to tell how well it went for Redknapp without him running things at Wast Hills. Now, I feel it is far too soon to be comparing this seasons issues to last seasons, but before Carsley has come in to steady the ship, there was similarities. Low confidence, a lack of any real tactics and an unnerving shakiness in the back line. He has done it once, so why couldn’t he do it again? As it turns out, its actually his speciality. Back in 2010 he was instrumental in stabilising Portsmouth, so much so that when Steve McClaren was sacked from Nottingham Forest, he was the man sought after and in October 2011, the East Midlands club got their man. His impact was instant and Forest went on to win 4 out of his first 6 games. The success didn’t last though, and Forest found themselves back at the foot of the table. Cotterill was able to keep Nottingham up with a solid run in the last month or two. Upon the change of ownership, he left the club at the end of the season and decided to join Redknapp at QPR on a short term deal to help sort out their issues – which he inevitably he did. Coterrill was actually invited to stay on as assistant at QPR the season after but chose not too. He left in pursuit of his own managerial career. Sounds eerily familiar doesn’t it. He went on to join Bristol City in April of 2013. It is where he has enjoyed his most successful managerial stint to date. With his second season in charge being his most memorable, winning the LMA Manager of the Year. It was the year that Bristol City were crowned League One champions and won the Football League Trophy. Interestingly, this made them the first club to win both the Football League Trophy and League One in the same season since a certain Birmingham City did it in 1995. So now you know the man’s credentials – do I think he could do it? He has proven that he is a top coach and has been reasonably successful in the lower leagues and he speaks a lot of sense. I go back to the main point in question though – does he have enough experience to take Blues to the next level? In short, no. It’s all well and good being able to stop the rot at a club but you need to be able to kick on past that and I believe the jury is still out on whether he can. 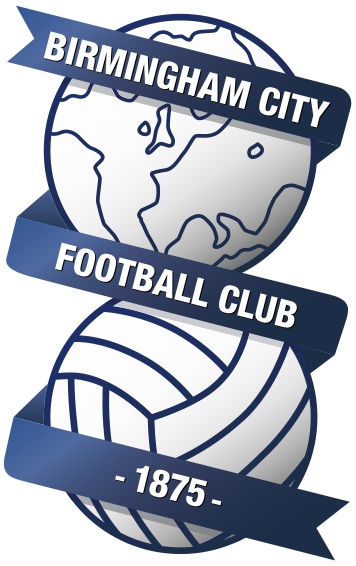 Maybe I’m bias in thinking Birmingham City is actually a bigger football club than what we are, but if the board are as ambitious as they say they are – I don’t think Cotterill is the man thats going to rev their engines, so to speak. I think we can do a lot worse, but I don’t think he has the right experience to take lead us out of the Championship and the promised land of the Premier League. He would solidify us and we would never be in danger of going down, but I fear years of mid-table obscurity would follow, forever flirting with the idea of the play offs. We need experience and a winning mentality. But winners aren’t easily available and interestingly one of the most decorated coaches who has (genuinely) been linked with Blues, isn’t. He’s currently in charge of Espanyol. Flores spent just the one season in charge of the Hornets the year before, leading them to a 13th placed finish and an FA Cup semi-final before departing Vicarage Road and outside of Wikipedia, I can’t confess to know a huge amount about about him. I went to a good friend of mine, and lifelong Watford fan @samnorris91 for his opinion on the former Spanish international and what we could expect. Formation wise he was old school, classic 4-4-2. The start of the season was fantastic, even though it took us 4 or 5 games to get our first win. He concentrated quite solidly on our defence, big results came against teams like Liverpool and with our solid defence, we found ourselves sitting 7th in the table going into the Christmas period was a massive surprise. A tough christmas period against the top 4 teams brought no wins, which quickly brought our european dreams back down to earth. QSF’s biggest weakness, was his unwillingness to change tactics. Ighalo had stopped scoring and our wingers were no longer being effective. At times he would play people out of position and would keep players in the side, regardless of form. A disappointing second half of the season still resulted in a 13th place finish, which was actually a record for us a club. For the most, he was a fantastic person to have in charge, his rapport with the fans was amazing and his press conferences were always genuine. On a personal note I was gutted to see him leave. If Flores is a genuine contender, I feel he has all the right credentials and experience to take Blues up to the next level, which means it is no surprise that he isn’t out of work and fairly unlikely to rock up in B9 any time soon. With regards to best of the rest? Names like Alan Pardew stick out – but you have to wonder if somebody like him would drop down to the Championship, only time will tell. But one thing I don’t expect to see is a left field appointment, we wouldn’t have a caretaker in place. For the most of it, I don’t actually believe the board have made too many mistakes (as a whole), I think they are playing this one right and we will come out with the right man. Its just they, nor do I, know who that is yet. I’d love to hear back on who you guys think we should have in charge, or do you think I am entirely wrong with my synopsis of the managers? let us know tweet @WeAreBirmingham or myself @ScottieJinks.